“We are so proud of Chief Jones’ remarkable performance and leadership excellence in building strong communities through extraordinary degrees of risk and sacrifice in the heroic mission to protect life, property and the environment. He is an inspirational change agent." 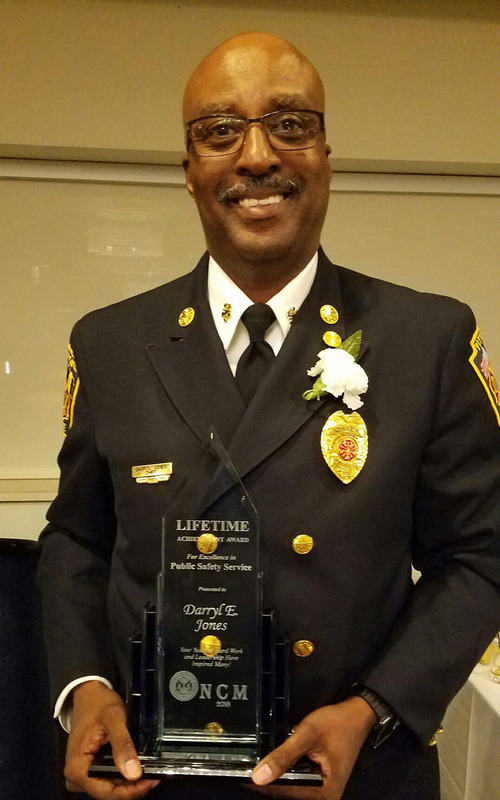 Pittsburgh Bureau of Fire Chief Darryl E. Jones, Ph.D., CFO, EFO, a part-time instructor in the public administration program at Point Park University, was honored Oct. 5 by Nahbhi Christian Ministries of Pittsburgh with their Lifetime Achievement Award. "I am both honored and humbled to receive the NABHI Christian Ministries Lifetime Achievement Award. I am blessed with the opportunity and desire to serve," Jones said. Jones is responsible for the leadership of over 650 uniformed personnel and operations of the Pittsburgh Bureau of Fire. Under his leadership, the Bureau expanded its Free Smoke Detector Program, refurbished its Company Inspector Program and initiated the Risk Watch Safety Program that teaches safety techniques to students grades K-6 as part of their health curriculum. As a result of these updates and expansions, the Insurance Service Office rating for the City of Pittsburgh improved from a Class Four to a Class One fire department. In addition to teaching Fire Prevention Organization and Management at Point Park, Jones is an instructor for the National Fire Academy and the Pennsylvania State Fire Academy. He has been a firefighter since 1986. 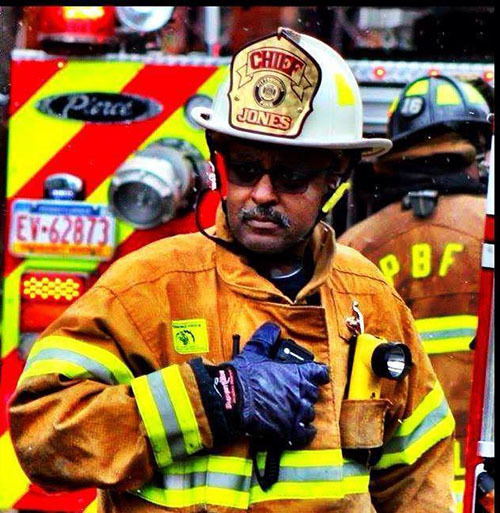 In 1995, Jones was the first African American to be appointed fire chief for Aliquippa, Pa., and in 2007, he became Pittsburgh's first African-American fire chief. “We are so proud of Chief Jones’ remarkable performance and leadership excellence in building strong communities through extraordinary degrees of risk and sacrifice in the heroic mission to protect life, property and the environment. He is an inspirational change agent,” said Rev. Jacque Fielder, pastor of Nabhi Christian Ministries and founder of the NCM Awards. “He is committed to the safety and training of Pittsburgh firefighters, as well as the citizens of Pittsburgh,” Fielder added. Nabhi Christian Ministries is a nonprofit organization aiming to foster change in communities through managing and resolving conflict for high-risk youth and families victimized by or exposed to drugs, violence and other harsh environments. NCM honors leaders who are committed to building and strengthening communities.